About Me… | Chronicles of a "Mini-Pro"
About me? Well, I am a self diagnosed equine addict. I have been around or on top of horses for a nearly uninterrupted span of over thirty years, when I was first given riding lessons “just for the summer”. 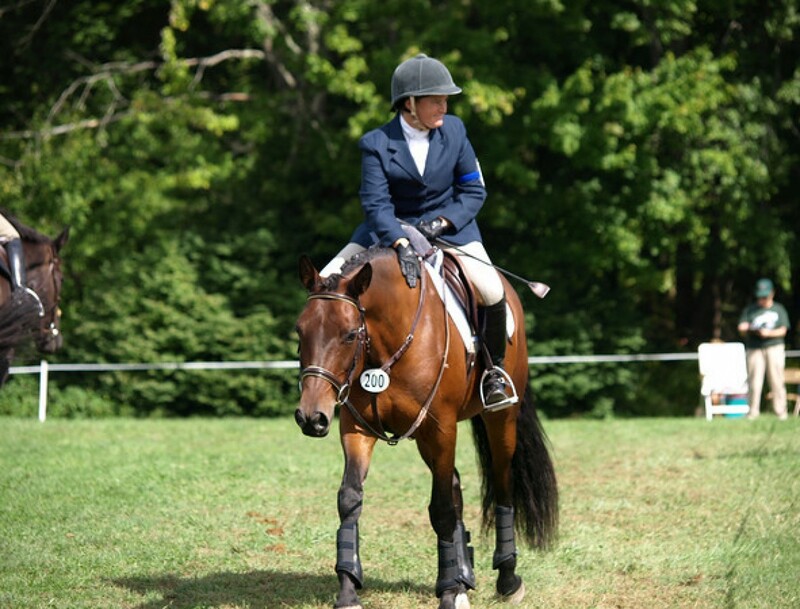 I have enjoyed and experienced many disciplines (hunter/jumper, dressage, graduate HA from the US Pony Clubs), but I usually call myself an eventer. I have also recently become immersed in the sport of competitive trail riding, which is an incredibly fun new pursuit. I accidentally became a professional equestrian within one year of graduating college, after valiantly spending four years and countless thousands of dollars studying something completely different (environmental conservation) and insisting without a shadow of a doubt that I would not go into the horse world full time. Oops. Lee and her friend Lefty at the beach in 2008. In my equestrian career, I have been a barn manager, an equine sports massage therapist, an equine journalist, a camp counselor, a working student and, of course, a horseback riding instructor. 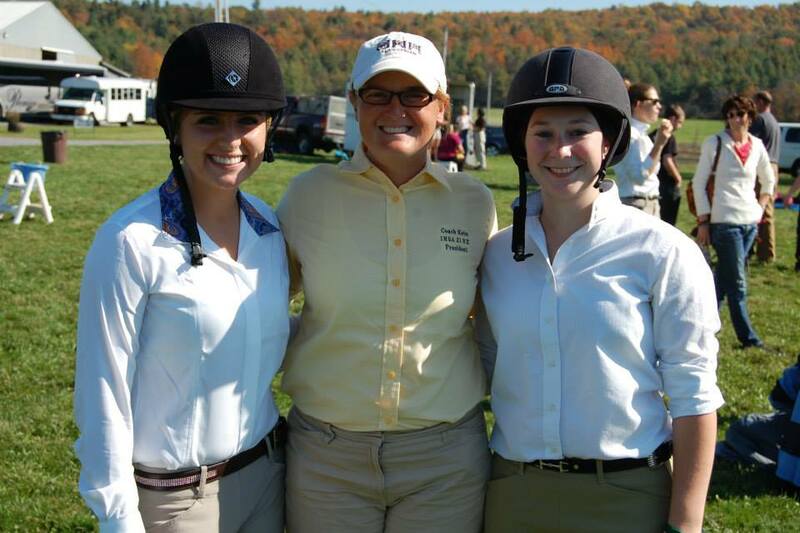 I currently work as faculty at the University of New Hampshire Equine Program, and I coach their intercollegiate hunt seat team. But more than anything, I am a lover of the horse and most of what comes with them, and this blog will represent a basic attempt to capture stories, insights, observations and other ideas that come from my myriad of experiences with these great creatures. Good afternoon! I found your blog when doing some research on designing my first freestyle and what a coincidence! The pony love of my life is “Triton’s Electra” or Ellie – a 2008 Skyview’s Triton mare. What a small world. Your ponies are lovely and I will look forward to perusing your blog and following your adventures! It is a small world! I hope the freestyle articles were helpful. I have done several and have way more fun performing them than a regular dressage test! I just love my Izzy. She is growing quickly. Oops – doesn’t matter a whit, but I see a typo – Ellie is a 2005 – just turned 12. Love her to bits!